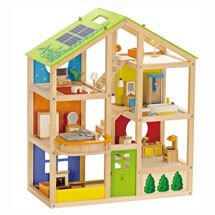 Dollhouse Sale! 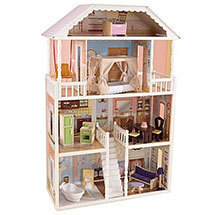 | Wooden Dollhouses | Fast Shipping! 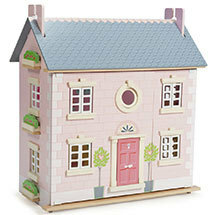 Browse our gorgeous range of wooden dollhouses and toy mansions to suit all tastes and budgets. Whether it's choosing an extra large and open play dollhouse from our KidKraft or Plum range, or something more classic, like our Le Toy Van Dollhouses, there is something for everyone. We also stock a range of solid wood dollhouses by Hape and Qtoys, which are especially durable and suited also to kindergarten settings. 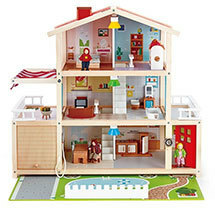 Our dollhouses include lots of fun features, like gliding lifts, winding staircases, plenty of room to play with siblings and friends, lots of miniature furniture and even things like a pretend play vet clinic found in our Plum Play range. 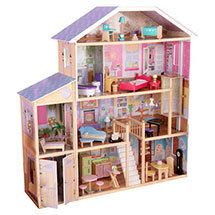 You won't be disappointed by our wooden dollhouses.